Our mom has always taught us to love ourselves and choose wisely. She has encouraged us to read personal development books, and taught us (time and time again) that we don’t have to be pretty, what matters is that we know our true self-worth and that we are spiritually educated (yes, she is that smart). Because of our love for writing and helping others, we decided to write a book about self-esteem. 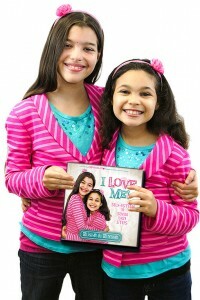 We co-authored I Love ME!, a book that will change the lives of many kids and tweens who suffer badly from low self-esteem. First thing we did: we went to the library and did A LOT of research. We borrowed over 100 books all on topics that have to do with self-esteem! (Seriously, I’m not joking). So, combining our passion and the research we needed for the book… Wait! What did you say? Oh, you guessed it! We finished writing the book and illustrations in less than 2 months! I Love ME! 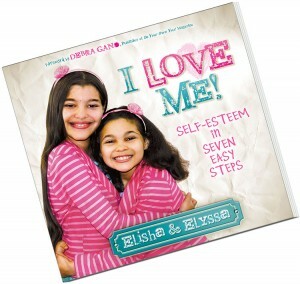 Self-esteem in 7 Easy Steps teaches kids and tweens to love themselves, take care of themselves, choose the best, be grateful, gain self-belief, improve in everything they do, and give to others. We believe this book will inspire kids be themselves and live up to their true potential and stop thinking they aren’t “good enough.” Our dream is for kids and tweens ages 7-12 to follow their hearts and be their best. When you purchase the book you will find the words we worked so hard to write, and you will find our beautiful hand-drawn illustrations. We would love your feedback! 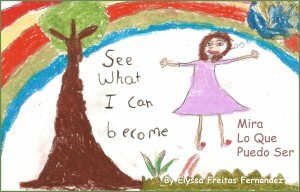 See what I can become is a book full of careers and their translations in English and Spanish. I originally made this book to teach children that with belief, work, and continuing effort, they can achieve great things and have any career they desire. I desired to encourage kids to reach for their dreams. My mom, Elayna Fernandez-Bare, inspired me to write this book, because she was an author, and also taught me the important information contained in the book. I wrote and illustrated it while in Kindergarten , and I published it when I turned seven.